I hope this letter finds you well. We have an exciting announcement to make! 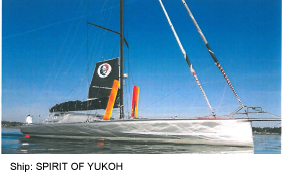 Hakkaian Brewery is supporting marine adventurer, Mr. Kojiro Shiraishi, who challenges VENDEE GLOBE 2016. We are inspired by his passion and detennination toward the race and are fully supporting his challenge. VENDEE GLOBE is the one of the toughest yacht race in the world that held once every four years. This solitary yacht race goes around the world without stopping and without refilling of any material. Mr. Shiraishi once completed the race with the record of the youngest racer at the age of 26. He has been challenging in different solitary yacht races after his record braking VENDEE GLOBE, and Hakkaisan continuously stay by his side to support. On May 29, 2016, he will take off the TRANSAT NEW YORK – VENDEE which is preliminary skirmish of VENDEE GLOBE. We would be extremely appreciated your warm applause on his Journey. 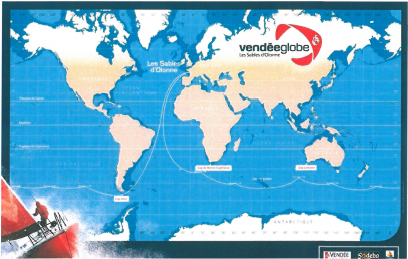 Preliminary skirmish of VENDEE GLOBE 2016 – 2017, it is a solitary yacht race across the Atlantic Ocean without stopping or refilling of any material. 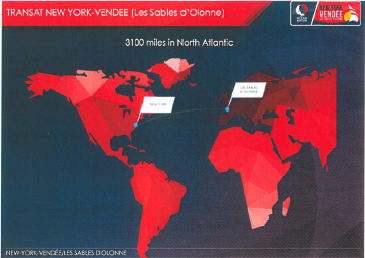 The race starts from New York, USA and reaches Les Sables-d’Olonne, FRANCE by June 11, 2016, and that is the qualification to the VENDEE GLOBE. VENDEE GLOBE is designed by Philippe Jeantot, the champion of BOC Challenge for two consecutive years. First race was held in 1989, and it will be the eighth race this year. Yachts starts from Les Sables-d’Olonne, FRANCE on June 6, 2016 and will take about 80 days (appx. 2,000hours) to race around the world in solidary and come back to the starting harbor in Les Sables-d’Olonne, FRANCE. Yacht is about 60 feet (appx. 18m) and a lonely race that goes around southern hemisphere which is about 26,000 mile (appx. 48,000km). Designed course starts Les Sables-d’Olonne, FRANCE, go south in Atlantic Ocean and through the Cape of Good Hope, then come out to Indian Ocean and through south side of Australia/New Zealand, and out to South Pacific Ocean, then through in between the Drake Passage and Cape Hom, and come back up North in Atlantic Ocean to aim the goal of Les Sables-d’Olonne, FRANCE. This entry was posted in news on May 30, 2016 by hakkaisan. From May 3rd to 7th, Japanese Kabuki play was performed in the David Ccoperfield Theater in Las Vegas, Nevada, USA. 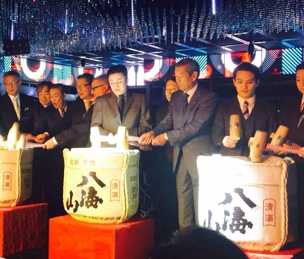 The special play “SHI SHI O” was created for Las Vegas by Japanese entertainment company, SHO CHIKU. Hakkaisan sake barrels were used for “Tsumidaru (sake barrels for display)” displayed in front of the theater, also “Kagami Biraki (sake barrel opening) “ at reception and after party of first night. “Kagami Biraki” is done for wishing good luck for rest of the play and showing appreciation of all staff members and sponsors involved. It was a real honor for us to be a part of this exciting event, also to see many guests enjoyed our sake! “SHIBUYA” Japanese restaurant in MGM Grand Hotel held a Hakkaisan special dinner. 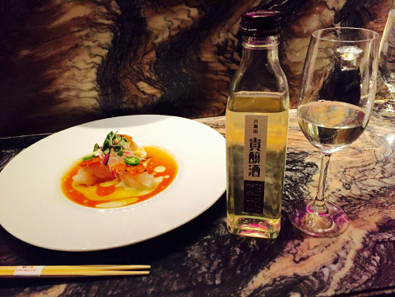 Guests enjoyed course dinner which specially created to pair with Hakkaisan Junmai Ginjo, Tokubetsu Honjozo, and Kijoshu. This entry was posted in news on May 25, 2016 by hakkaisan. We are hoping this website to be as interactive as possible. Our new blog will let the world know what is going on with Hakkaisan and Sake communities in the world. Our Japan domestic and international events will be informed here. Please leave us comment, and let us know your Hakkasain and/or sake experience!